The Financial Compass and the use of management accounting in day by day business. The journey to financial success starts with outstanding bookkeeping – that provides feedback to the business managers. Accounting Advisory and Business Consulting is the name of the game when it comes to meaningful financial reporting. Bookkeeping as we know it has to change, both in terms of image and the required expertise to do it. Up to now bookkeeping has been a low paid service where numbers are entered and reports are created that are void of any meaningful financial management feedback. In order to live long and prosper in business, one needs sound financial data and the control of businesses needs to be taken back from common accounting software that is used to get the immediate job done. All too often accountants just give the business owner “sleepy time pills” while the business owner operates in a financial vacuum. 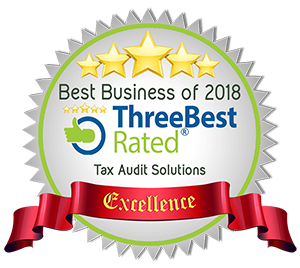 Usually the accountant that does the tax returns for a business can not provide on going day to day consulting because the tax accountant doesn’t know what’s going on with the client’s business on a daily basis. The tax accountants once-a-year relationship with their clients makes it unlikely for them to become their client’s trusted adviser. Very few accounting firms provide the desired level of financial consultation to assist their clients with financial decision making. Traditional bookkeeping as we know it, is not particularly valued by clients, as bookkeeping is just seen as a necessary expense that offers little day to day real value in the day to day operation of the business. A valuable bookkeeper is one that does more than just entering numbers, to be appreciated and valued, they have to contribute solid financial data and make bottom line recommendations on ways to improve the business. 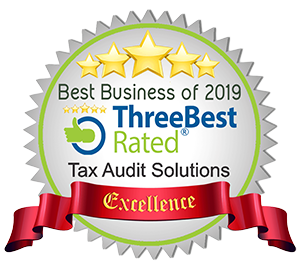 To turn things around in the accounting industry, it has to be realized that good bookkeeping is the lifeblood of any healthy business, and as such the value of the advisory consultant needs to be recognized. Proper business bookkeeping is more than just traditional bookkeeping, it involves going beyond client set up, basic data entry, bank reconciliations, cash flow statements and monthly financial statements. The times they are a changing, and business has to adapt or perish. The world wide web has changed businesses forever. Where the web became the cloud and the cloud came under attack from hackers, we now have to manage or web based information while we are managing our business. Doing business today, is now much easier because of the advent of cloud based processing of information. Distance is not a detriment any more, because we can now do business with other businesses that are best suited to our needs. Bookkeepers no longer have to go to or be located at the place the business operates from. Data is readily available to be used to consult with business owners on a real time basis, regardless where the bookkeeper is located. With the web and the flow of information and new technology, the cost of proper accounting has become more than just affordable, it is the critical life blood of the business. Companies need meaningful information just as taxis need gas. Advisory Accounting is not a discretionary expense, it is a mandatory business tool. What this all means is that business has to stop looking at bookkeeping as an expense and instead see it as an investment. The cost of bookkeeping needs to go up, so the cost of doing business can go down and profits can be increased. Businesses need a financial compass so that the direction of the business can be set based on real time financial feedback. If a business does not know where it is going, it will never get there.